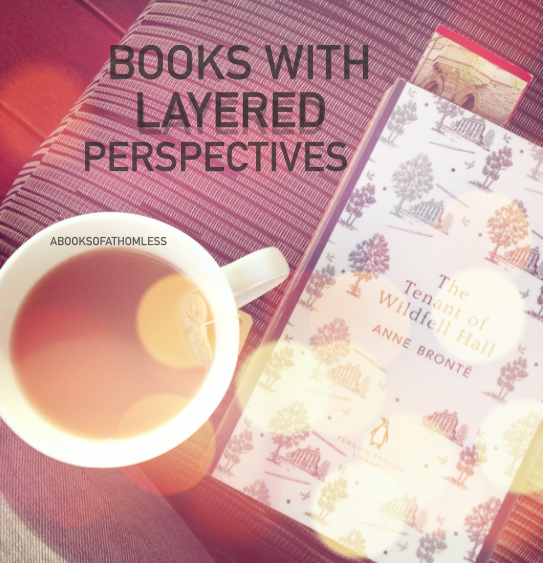 In my review for The Tenant of Wildfell Hall the other week, I mentioned that I’d be doing a post on books with layered perspectives. Just before we get started, I wanted to give you a quick definition of what this means to me—in simplest terms, it’s a story within a story. This may involves letter or diaries or whatever else, but that thing frames the novel so that the reader sees it in a particular light. I hope that made sense…let’s get started. In this, Gilbert Markham is writing to his friend Halford about the new and very mysterious woman who moved into Wildfell Hall, Helen Graham. He and Helen become friends, and halfway through the book, Helen gives him her diaries which Gilbert then includes for Halford/us to read. Even without this, it’s an absolutely gorgeous story and you should all read it. This is about to get real confusing. Frankenstein starts with some letters from explorer Robert Walton to his sister in England, then he saves Victor Frankenstein and in return, Victor shares his story of the monster he created and within that, the monster also tells Victor his story. If that’s not confusing enough, ? is repeating this entire story to his sister. Can you say complicated? This is the book that made me fall in love with this technique. The thing about Atonement is the way this layered perspective narrative is written makes it really difficult to guess that it is in fact, a layered perspective. I don’t really want to share too much about this one, but the time you reach the end, you will simultaneously love and hate Ian McEwan. I’m sure a lot of you are aware of this one. A grandfather is reading the book, The Princess Bride, to his grandson so not only do we get the story of the grandfather and his grandson but also the novel, The Princess Bride. It’s confusing and beautiful and the movie is absolutely perfect. So these are a few examples. I know there are a few more out there but these are the ones that have stuck with me. Let me know if you know of any others or if there’s a different narrative style you really like.